March is one of my favorite months because it is filled with rainbow activities as we get close to St. Patrick's Day! Where we live in Northern California things are really green outside right now too and all sorts of gorgeous flowers are starting to bloom! I love it! 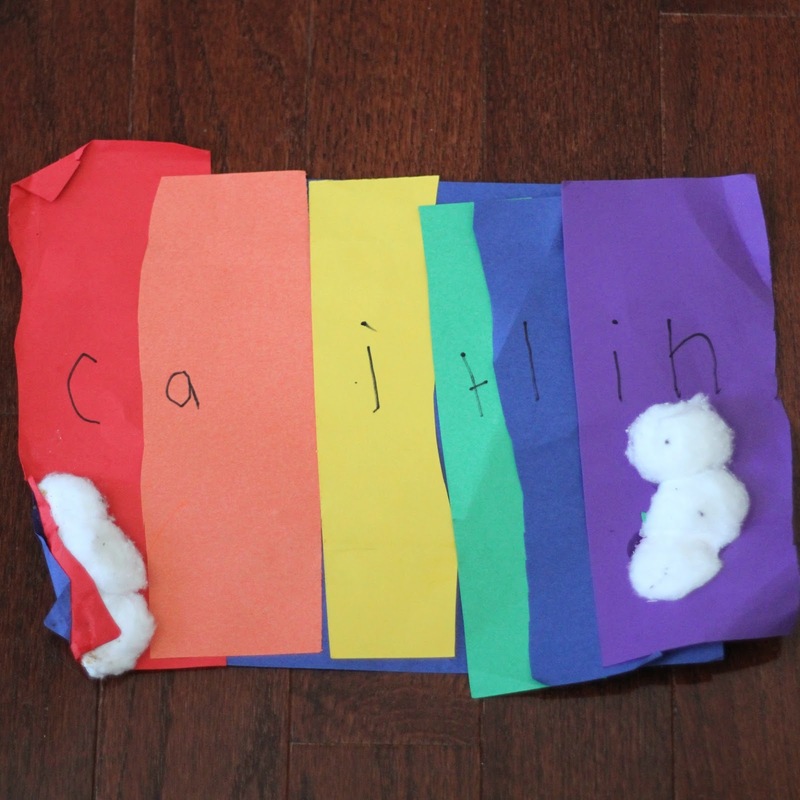 We love to do rainbow name hunts and pop rainbows and even blow rainbows using paint! 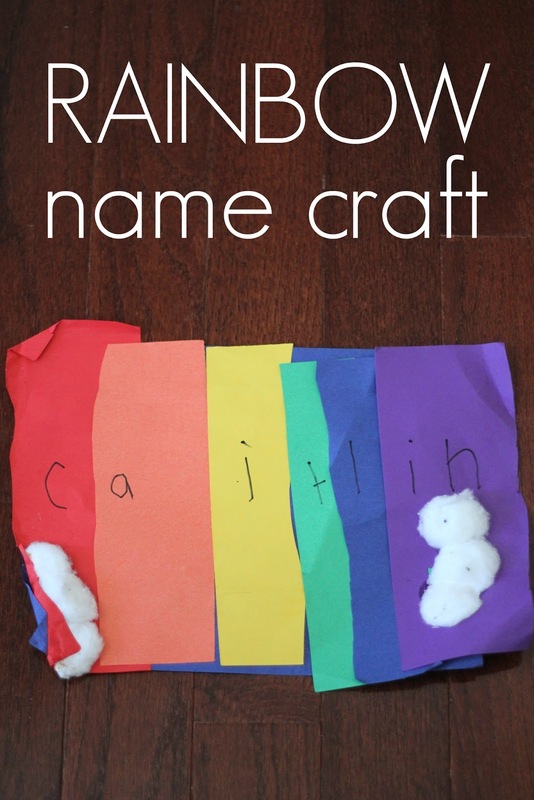 Today I'm sharing an easy peasy rainbow name craft you can try with your kids! My daughter decided that she wanted to make a name rainbow one afternoon, so this is what she did! She started by cutting rainbow paper into strips. Then she arranged them in rainbow order on a piece of cardstock. After that, she glued them down to the piece of cardstock. She used a pen to add the letters of her name to each color segment until she spelled out her entire name. Finally she glued on a few cotton balls for clouds. I loved watching her come up with this whole project on her own and execute it without any help from me. This activity is a great simple fine motor craft to work on strengthening finger muscles and help kids practice cutting straight. First, we read A Rainbow of My Own by Don Freeman, which is our featured book this week for RAINBOW WEEK for our Weekly Virtual Book Club for Kids. 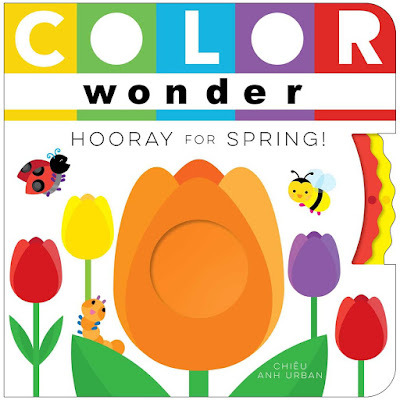 Next, we read Color Wonder Hooray for Spring! by Chieu Anh Urban which is a darling interactive board book filled with colorful illustrations. I'll share more about it later this week! My kids loved exploring it while talking about the colors. My one-year-old was especially excited about it! 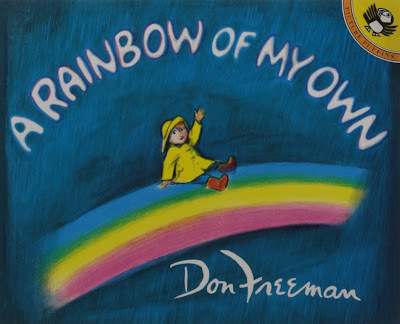 We'll be sharing many more rainbow themed activities all week long over in our Weekly Virtual Book Club for Kids Facebook Group if you want to join and participate. Our VBC Co-hosts have been creating their own fun rainbow themed activities to share as well! Click on the links below to check them out!! 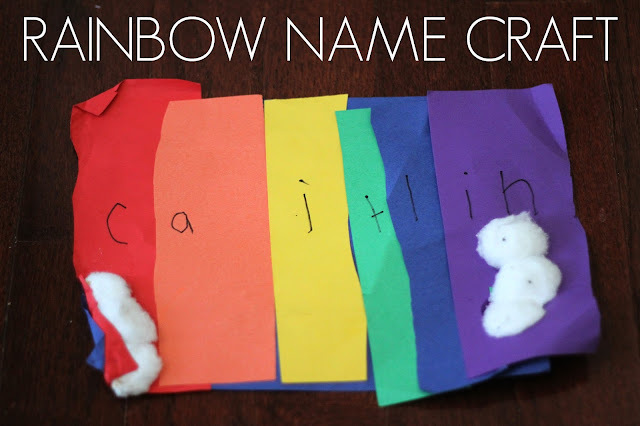 If you have another favorite rainbow craft or activity, please share it!